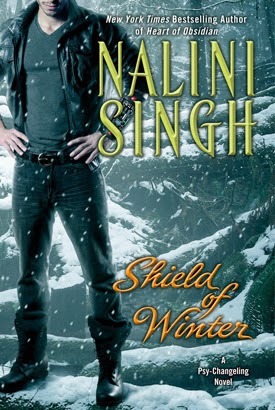 I really would like an ARC of Shield of Winter (A Psy/Changeling Novel) by Nalini Singh. It comes out June 5, 2014 but I keep seeing people who have a review copy. Since it has not show up on Netgalley or Edelweiss the copy would have to come from the publisher and I am not on that list. Oh well! I will just have to wait until June. Sensible and lonely, Olivia Mather survives by her wits—and her strict policy of avoiding trouble. 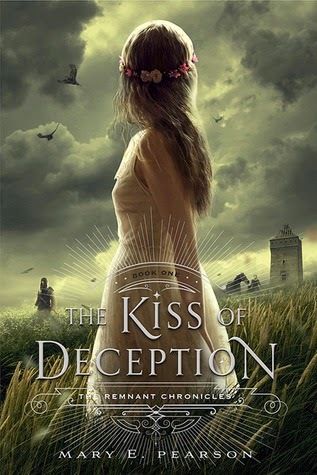 But when she realizes that the Duke of Marwick might hold the secrets of her family’s past, she does the unthinkable, infiltrating his household as a maid. She’ll clean his study and rifle through his papers looking for information. Alastair de Grey has a single reason to live: vengeance. More beautiful than Lucifer, twice as feared, and thrice as cunning, he’ll use any weapon to punish those who fooled and betrayed him—even an impertinent maid who doesn’t know her place. But the more fascinated he becomes with the uppity redhead, the more dangerous his carefully designed plot becomes. For the one contingency he forgot to plan for was falling in love…and he cannot survive being fooled again. Fool Me Twice uses a familiar trope – getting a job in a peer’s house for a personal reason. The person is Olivia Mather, the search is for proof against someone trying to kill her, the job is housekeeper. Olivia and her past are what makes this use unique. I loved Olivia. She is strong and has looked after herself since she was 16. Part of what she has had to do involved running for her life as someone is trying to kill her. At first there is no clue why but long before it was revealed I knew the reason. I will confess I did not know the person until the end. Alastair de Grey, the Duke of Marwick, owns the household where she got the job. He was not nearly as strong as Olivia. In fact when his wife died and he learned the truth about her actions he fell apart. Olivia has to get him on his feet to find the information she needs. Olivia has to make some hard decisions and Alastair has to come to terms with how the past is keeping him from trusting anyone. If that happens they can have their HEA. Fool Me Twice is a fun read with many twists and turns. It combines romance with danger while keeping the reader glued to the pages. This is book two in the series. I read it as a stand-alone and even through there were hints about things I missed in book one they were not that important to the story. 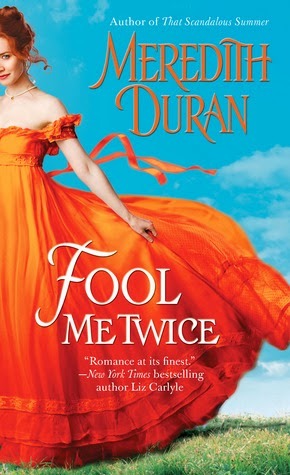 Pocket Books published Fool Me Twice by Meredith Duran in 2013. I received an ARC of Fool Me Twice from Edelweiss. 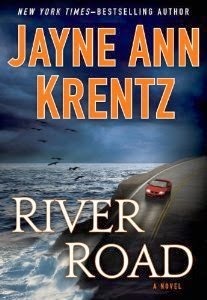 River Road by Jayne Ann Krentz - This was a fun book filled with mystery and romance. I loved Lucy and Mason. They were made for each other. There were several mysteries in the book including a body in the fireplace. 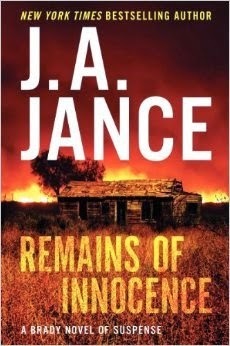 Even though I figured out who the killer was early in the book it did not change my enjoyment of the story. Larger Than Life by Kay Hooper - This is one I wanted to try just to see if I liked everything by Kay Hooper. I listened to another book by Hooper several months ago and picked this one up at the library two weeks ago. It was a nice pleasant story with a big secret that I caught on to by the middle of the book. I still enjoyed the romance and the two main characters. 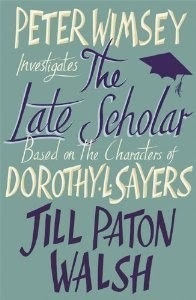 The Late Scholar a Peter Wimsey and Harriet Vane Mystery by Jill Paton Walsh - I have not read any of the Peter Wimsey and Harriet Vane books by Dorothy L. Sayers so I lack some of the background about this two main characters in The Late Scholar. There are also 3 previous book by Jill Paton Walsh that I have not read. Even with that it was not that hard to keep up with both the characters and the story. There is quite a bit of backstory in the book and the mystery does not depend on any thing from the past. This is a pleasant read with great description and a lot of information that shows that the author had to do a lot of research. I enjoyed learning about Oxford while trying to figure out who done it. Even if you have not read any of this series you can enjoy The Late Scholar. 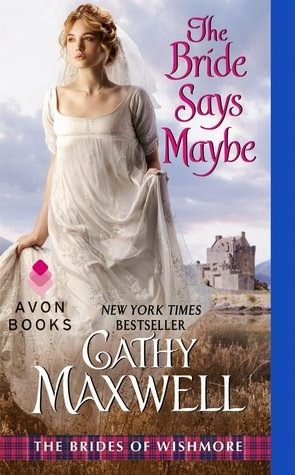 The Bride Says Maybe by Cathy Maxwell - Both Lady Tara Davidson and Breccan Campbell were characters in The Bride Says Yes. The backstory from that book is presented at the very start of this book. I loved Lady Tara. She is very beautiful but not one thinks she is very smart. Turns out they are wrong and it takes a marriage to Breccan for anyone to realize it. Breccan is like other men. At first he just sees her beauty but soon realized there is more to her than he thought. This does have an almost beauty and beast trope. Breccan is a giant of a man and while Tara says he has a strong face not one ever says he is handsome. What does happen between the two is a journey of discovery, a journey that has to develop trust between the two, and in the end a great HEA. I am looking forward to the next Brides of Wishmore book coming out in October, 2014. 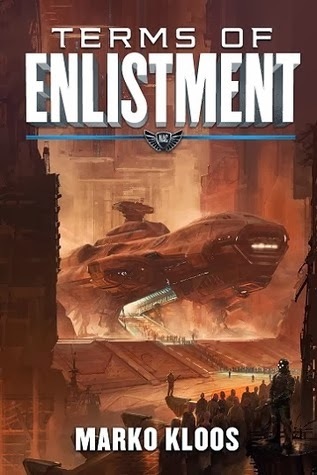 Terms of Enlistment by Marko Kloos - I love Military Science Fiction and Terms of Enlistment is a good example of why I love it. Andrew Grayson has no future unless he enlists in the military. It is 2018 and the Earth is not that great a place to live. The military is the best place Andrew has ever seen. There is good food, a place to sleep and a retirement bonus if you make it through your 5 years. Of course nothing is that simple. In every job there is danger; first on Earth and then in space. Terms of Enlistment has all the elements that make a good story. It has danger, it has great characters, and it has the suspense that comes from facing the unknown. Look for surprises and an ending that just sets up the next book Lines of Departure. Dangerous Seduction (A Nemesis Unlimited Novel) by Zoe Archer - Nemesis is at it again. Simon, the founder of Nemesis, is off to Cornwall to help the copper mine workers. Simon is always helping others but never himself. Alysce Carr works at the mine and is always trying to get better conditions for the workers. They are a natural as partners. Alysce is strong and fearless and Simon is drawn to her from the start. Look of a lot of action, quite a bit of history and a great romance. Like book one, Sweet Revenge, Dangerous Seduction has a well written story, great characters and a lot of action. Now I am waiting for book 3. 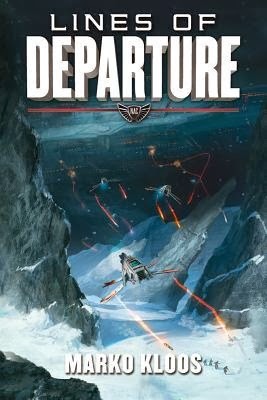 Lines of Departure (Frontline Series) by Marko Kloos - I read book one, Terms of Enlistment, in the Frontlines series and really loved it. You can read my review here and on Amazon. Lines of Departure was a little different. It has the same characters and it was good to see them again. I did have trouble getting into the book. The first half was just a setup of a situation that allowed the author to set the scene for book three. I really liked the second half but for me the first half was not as exciting as I expected. The world building was done in book one. I do recommend reading Terms of Enlistment before you tackle Lines of Departure. Don't expect anything to be resolved, this is a typical middle book in a trilogy and it just sets the stage for future action. 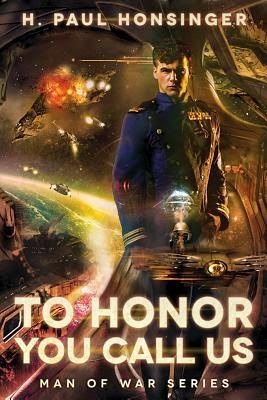 David: Lord of Honor by Grace Burrows - David is the last of the Lonely Lords series to be published by Sourcebook and it is one of the best. (There are additional books that Burrows is planning to self-publish.) One of the things I liked was how several of the son’s from Windham’s series were worked into the story. I loved both David, the main male character, and Letty, the main female character. David is such a strong man and is carrying a great sorry. Letty is also very strong and she is carrying a great secret. The scenes with the two of them are wonderful. You can just feel the love and the tension between the two. There are so many things that should keep them apart but in the end they get their HEA. I also liked Letty’s brother Daniel Banks. He has an important part in allowing the two to get together. I was hoping he would get his own book but I don’t see that happening any time soon. In David the plot and the writing went together to form a very smooth story. I did know Letty’s secret well before it was revealed but that did not effect my enjoyment of the story. 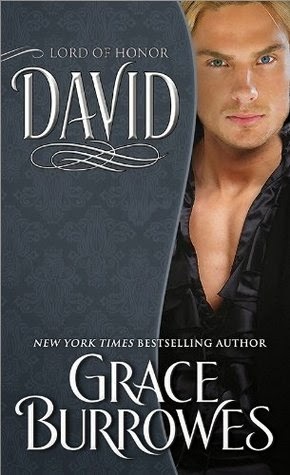 David does well as a stand-alone but like any series it would be better if you had read the previous books in the series as well as the Windham series. 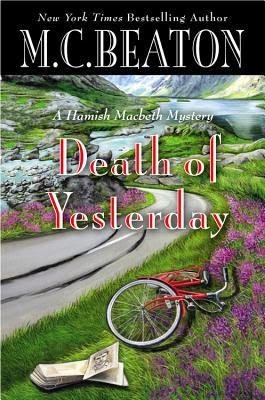 Death of Yesterday by M. C. Beaton - Hamish is up to his old tricks. 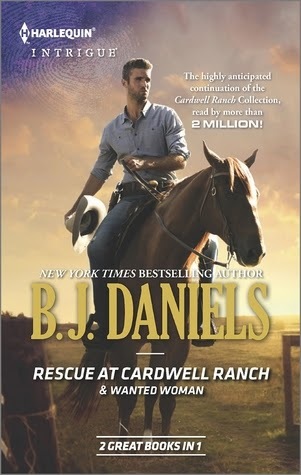 He solves the murder, picks up the wrong girl, and is engaged again. Like pervious engagements it ends almost before it begins. Good addition to the series. 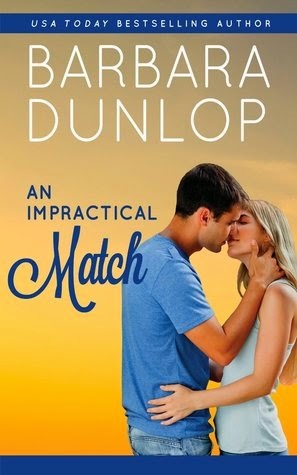 An Impractical Match by Barbara Dunlop- Jillian Korrigan and Devlin Camden seemed to have nothing uncommon but those senior citizens over in Florida think they will be the perfect match. Look for another fun book where two unlikely people find themselves draw together. This is another fun read filled with fun characters and quite a bit of drama before another two people find their HEA. Waiting On You by Kristan Higgins - This is the second book by Kristan Higgins that I have read. It is the story of Lucas and Colleen. It is a nice story with come complex characters. Waiting on You is the third book in the Blue Heron series and I read book two. While I enjoyed the story I still have not warmed to the series or the characters. There was just something about both Lucas and Colleen that just did not sit well with me. I just did not like Lucas and wanted to kick Colleen for never getting over him. I did like some of the side characters and hope several have stories in the future. 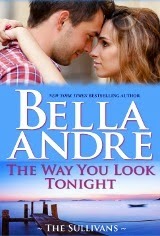 The Way You Look Tonight (The Sullivans #9) by Bella Andre - If you thought all of the Sullivan's had found love you forgot about the Seattle Sullivan's Here are 5 new Sullivan's - the children of Jack Sullivan's bother and sister-in-law. Rafe is the first one to fall in love. He is sure that love does not exist because he spends his time catching cheating spouses. Then he buys the lake house his parents lost when hard time hit and finds Brooke who is old friend living next door and is drawn to her. Look for another great love story with a new cast of characters. The other Sullivan's make several guest appearances so we can keep up with how they are doing. 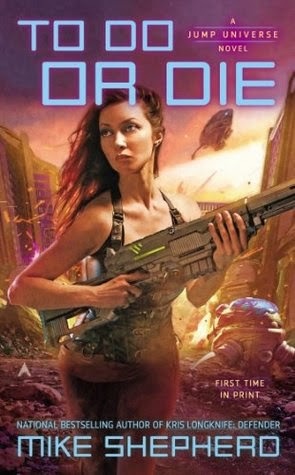 I loved Ghost Planet (click for review) so when I saw The Ophelia Prophecy on Netgalley I immediately put in a request. Sharon Lynn Fisher came up with an unusual premise for Ghost Planet and I hoped for the same in The Ophelia Prophecy. I wasn’t disappointed. The Ophelia Prophecy is Science Fiction but not Science Fiction in space. Everything takes place right here on Earth but it is a very changed Earth. The world building is not that complex. This is an Earth where humans started messing with DNA and blending humans with other creatures. All of this was done to produce superior soldiers but it got out of hand. When the two went to war most of the pure DNA humans were killed and the Manti took over. The few humans that survived are in isolated settlements. The characters drive the plot in The Ophelia Prophecy and Fisher has put together a great group. Asha, a human female and Pax, a Manti male, are the two main characters. Both have to learn to trust and to change as the story progresses. The secondary characters also play an important part in the story. Pax’s sister, Iris, has an interesting role in the story. Another human, Ash’s Father, and another Manti, Micha, help set the stage for some of the most important action. The Manti are humans with some DNA changes. There are secrets to their relationship with humans that are very important to the plot. The human leaders have some secrets of their own that also play a big part in how the characters behave. The world building, the characters, the secrets all blend together in a story that is hard to put down. This is a romance featuring Asha and Pax but it is much more than that. Some things are resolved but not everything. There are hooks throughout the book for future stories set in the Human/Manti universe. I will just have to wait to see if they are followed. 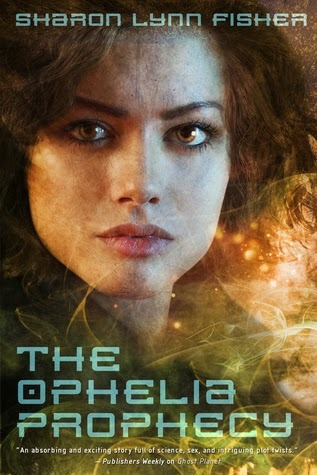 Tor published The Ophelia Prophecy by Sharon Lynn Fisher in 2014. I received an ARC of The Ophelia Prophecy from Netgalley. 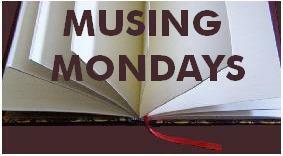 Look for a guest post by Sharon here on April 22, 2014. My book this week is Night Broken (Mercy Thompson #8) by Patricia Briggs. "The phone rang while I was elbow-deep in sudsy dishwater." "I understand," Adam said. "But I'd prefer to bring you into the pack as soon as possible for your safety. My wolves won't bother you, but there are other things running around town that might if you don't have pack protection." Dr. Eos Rai has spent a lifetime dedicated to her mother's dream of finding the long-lost Mona Lisa. When Eos uncovers tantalizing evidence of Star's End--the last known location of the masterpiece--she's shocked when her employer, the Galactic Institute of Historic Preservation, refuses to back her expedition. 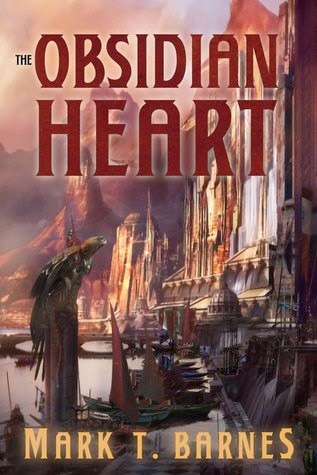 Left with no choice, Eos must trust the most notorious treasure hunter in the galaxy, a man she finds infuriating, annoying and far too tempting. Dathan Phoenix can sniff out relics at a stellar mile. With his brothers by his side, he takes the adventures that suit him and refuses to become a lazy, bitter failure like their father. When the gorgeous Eos Rai comes looking to hire him, he knows she's trouble, but he's lured into a hunt that turns into a wild and dangerous adventure. As Eos and Dathan are pushed to their limits, they discover treasure isn't the only thing they're drawn to...but how will their desire survive when Dathan demands the Mona Lisa as his payment? At Star’s End is Science Fiction Romance without much Science and a lot of Romance. That said it also has a lot of danger and suspense. Eos Rai is a very strong woman who has spent her life following her mother’s dream. Dathan Phoenis has spent his trying to be different from his father. When the two meet sparks fly. For both that is a weakness. Both have to come to grips with the past, put it behind them and move on to arrive at their HEA. This is book one in a series so it required quite a bit of character and world building. The character introduction happened very fast. The world building was part of the plot. This lets the story develop quickly. Look for a lot of romance, hooks for the next book, and an exciting story. The writing was crisp and kept the story moving. Everything was written in my favorite, a very active voice. I will be on the lookout for the next book in the Phoenix Adventures. 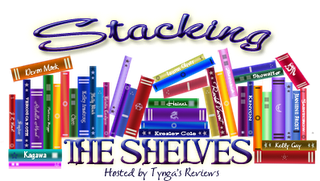 Carina Press published At Star’s End by Anna Hackett in 2014. I received an ARC of At Star’s End from Netgalley. 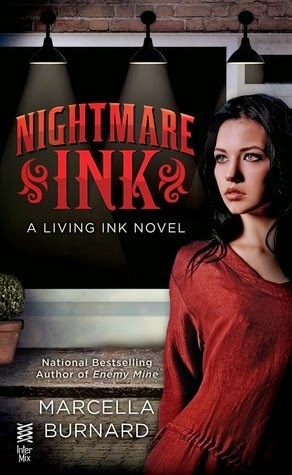 I am waiting on Nightmare Ink (Living Ink #1) by Marcella Burnard. I loved her other series and have high hopes Living Ink. It comes out April 25, 2014. 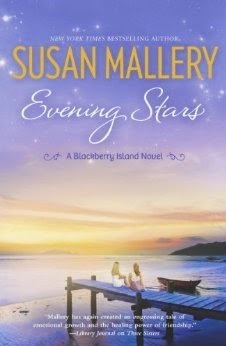 "New York Times bestselling author Susan Mallery returns to Blackberry Island with the poignant tale of two sisters on the verge of claiming their dreams. But before Nina and Averil can reach for the stars, they have to decide what they want. Will Averil stay? Will Nina leave? And what about the men who claim to love them? Does love heal, or will finding their happy ending mean giving up all they've ever wanted?" If you like Susan Mallory’s books you will like Evening Stars. This is the third book set on Blackberry Island. I haven’t read the first two so I know it reads fine as a stand-alone. Nina Wentworth is the main character. She is the caretaker of the family and the story revolves around her. I think many of us could see how she is creating problems where there should be none.. How she comes to terms with this is one of the themes of the story. The two men in her life, one she just met and an old love who returns, is the other. There are interesting side characters as well. Nina’s sister Averil is facing some issues of her own and comes back to the Island to resolve them. Nina and Averil’s Mom is a whole book on her own. She just refuses to grow up. Evening Stars is a quick easy read. If you like romance with interesting characters and conflict you will like Evening Stars. Harlequin MIRA published EveningStars by Susan Mallory in 2014. I received an ARC of Evening Stars from Netgalley. 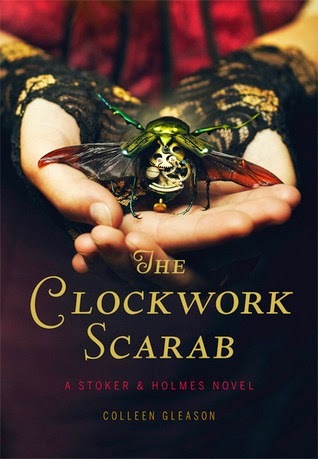 My teaser today if from The Clockwork Scarab (A Stoker & Holmes Novel #1) by Colleen Gleason. 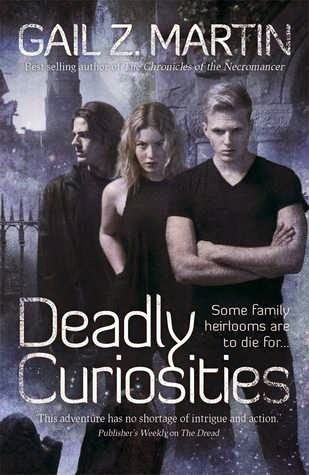 It features the sister of Bram Stoker and the niece of Sherlock Homes. "Evaline Stoker and Mina Holmes never meant to get into the family business. But when you’re the sister of Bram and the niece of Sherlock, vampire hunting and mystery solving are in your blood. And when two society girls go missing, there’s no one more qualified to investigate. Now fierce Evaline and logical Mina must resolve their rivalry, navigate the advances of not just one but three mysterious gentlemen, and solve murder with only one clue: a strange Egyptian scarab. The stakes are high. If Stoker and Holmes don’t unravel why the belles of London society are in such danger, they’ll become the next victims." Do you pay much attention to book covers? I sometimes do but that is not the main theme of my musing. I keep noticing how book covers start to look alike. It seems like when a book is really popular and has a unique theme that theme starts to appear on other books. I wonder? Are publishers trying to fool the public? Do people buy the book because the cover looks familiar? As the search for the killer leads Sebastian into a treacherous web of duplicity, he discovers that Pelletan was part of a secret delegation sent by Napoleon to investigate the possibility of peace with Britain. Despite his powerful father-in-law’s warnings, Sebastian plunges deep into the mystery of the �Lost Dauphin,” the boy prince who disappeared in the darkest days of the French Revolution, and soon finds himself at lethal odds with the Dauphin’s sister—the imperious, ruthless daughter of Marie Antoinette—who is determined to retake the French crown at any cost. 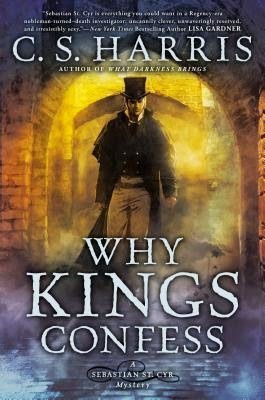 Why Kings Confess is another great addition to the Sebastian St. Cyr series. There has been another murder and again Sebastian is drawn into the investigation. Jarvis (his father-in-law) tells him to leave it alone but of course he does not. This mystery revolves around exiled members of the French Royal family. While I knew some of the facts about the French Revolution and the Royal Family Why Kings Confess contained facts that were not covered in the history books I studied. All of that background played a big part of the mystery and added to my enjoyment of the story. I do have to confess I was as interested in how Honor and Sebastian’s marriage was progressing as I was in the mystery. I have pulled for the two from the beginning and loved seeing how they were doing. Look for one of the side characters to also find romance this time. I wait for a year for a new book in the series to come out. I tried to read Why Kings Confess in little bits at a time to make the book last longer. I did not succeed as it only took me two days to finish. Now I have to wait another full year for the next book. There is a lot of back story in the series and Harris is very good at dropping it in as the book progresses so the book can be read as a stand along. However, for maximum enjoyment start at beginning. You will be as hooked as I am.